North of here, Highway 99 is closed from the West Seattle Bridge to the Battery Street Tunnel until 6 pm today and then again 6 am-6 pm tomorrow for its twice-yearly inspection, and from the BSTunnel north to lower Queen Anne, it’s closed all weekend, until very early Monday. So plan your travel accordingly! Find details on the closures here. If you use Metro, here’s the reroute info for the routes from WC/West Seattle that use Highway 99. A portion of State Route 99 closes for four full days starting this Friday. If drivers have not already made plans for this closure, now is the time to do so. 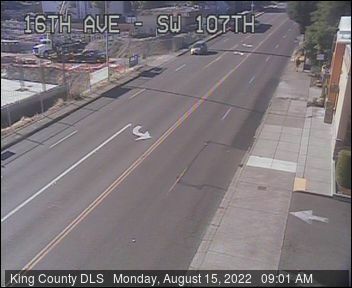 The Washington State Department of Transportation will close both directions of SR 99 between South Spokane Street and Valley Street from 10 p.m. Friday, Aug. 22, until 5 a.m. Monday, Aug. 25. Crews will reopen SR 99 south of the Battery Street Tunnel just before the Monday morning commute; however, the highway will remain closed through the tunnel to Valley Street until 5 a.m. Wednesday, Aug. 27. · Northbound SR 99 will be open from South Royal Brougham Way and southbound SR 99 will be open from Columbia Street until midnight Friday, Aug. 22, for traffic related to the Seahawks’ preseason game. · It will take four days for contractor crews working for WSDOT to demolish and replace the section of SR 99 over Broad Street. This new section of the highway will become part of the permanent connection between the SR 99 tunnel’s north portal and a new surface street section of Aurora Avenue North. · Four days are also necessary for crews to reroute the water and sewer lines underneath SR 99 near Harrison Street. · During the weekend portion of the closure, contractor crews will replace 81 damaged or cracked concrete road panels that comprise the SR 99 lanes between South Spokane and South Holgate streets. They will also repair an expansion joint at the northbound SR 99 exit to Seneca Street. · At 10 p.m. Friday, Aug. 22, crews will close both directions of SR 99 between South Spokane Street and Valley Street. However, due to the Seahawks game, northbound SR 99 will remain open at South Royal Brougham way and southbound SR 99 will remain open from the Columbia Street on-ramp until midnight. · At 5 a.m. Monday, Aug. 25, crews will reopen both directions of SR 99 south of the Battery Street Tunnel. Both directions of SR 99 will remain closed between the south end of the tunnel and Valley Street. · At 5 a.m. Wednesday, Aug. 27, crews will reopen both directions of SR 99 between the south end of the Battery Street Tunnel and Valley Street. · Allow plenty of extra travel time. · Leave early or delay your trip to avoid traveling during peak commute periods in the morning and afternoon. · Delay or reschedule discretionary trips. · Take King County Metro during off peak hours and plan for reroutes on buses that use SR 99, or share a ride in a car or vanpool. · If you must drive, know before you go and use WSDOT’s travel tools.